To celebrate the arrival of the gorgeous Rosanna Inc. range to the shop and also in honour of our first birthday (yes, it's been a year already) we are hosting a fantastic giveaway. You know how we love giveaways. 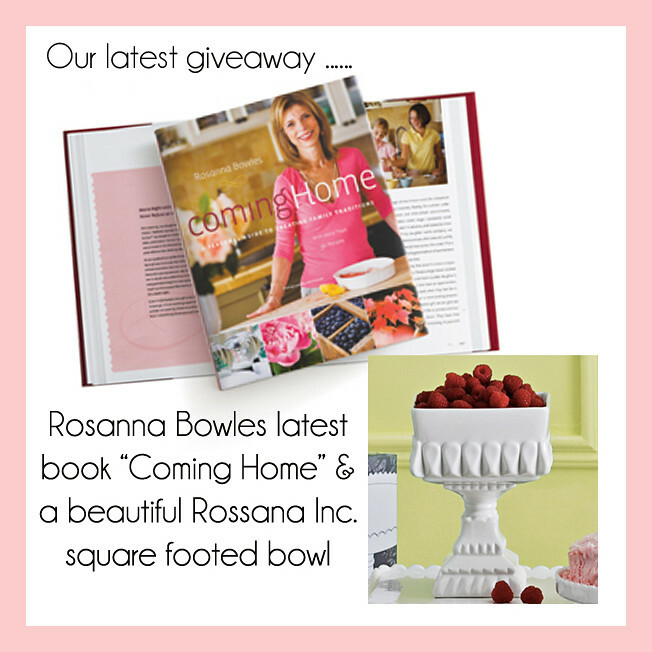 One lucky reader will win a copy of Rosanna Bowles latest book "Coming Home". In this intimate and heartfelt book, Rosanna talks about the value of ritual, connection, family and returning home. She shares over fifty cherished family recipes and offers realistic suggestions of small ways to enrich our days and lives. 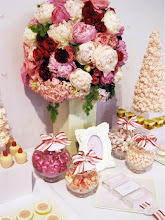 They will also win a stunning Decor Bon Bon square footed bowl made of refined porcelain. To enter our latest giveaway, please leave a comment here telling us your most cherished family tradition. The winner will be announced on our blog Monday 12th September. This giveaway is only open to Australian residents. Has to be Christmas present giving. We all wait until everyone has arrived on Christmas morning. Everyone sits in from of the gifts under the tree and the children have the job of reading the tags and handing the gifts to the receiver. We all watch the opening and oooohhh and aaaghh, and then the next gift is given. Just lovely! Before I moved to Australia our Christmas family tradition was to have the same breakfast of morning rolls (Scottish thing) and tea. Then we would all open our gifts together and have the same Christmas lunch. This has all changed since I moved to Australia and am far away from my family. I miss that tradition very much. However, with my new family in Australia the tradition at every family gathering is to get through at least one bottle of Slivovitz (Croatian plum brandy). Birthdays are special in our house and not for the presents! The thing that our children most look forward to is Breakfast in our bed!! They choose what they would like for breakfast whether it be eggs Benedict or an ice cream sundae and we then carry it into them on a silver tray whilst they sit on propped up pillows and devour the breakfast made especially for them on their special day! 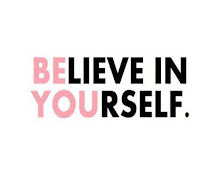 Every night at the dinner table we do 'best and worst'...we ask each other "What was the worst part of your day"and "What was the best part of the day." It's a lovely way to gain an insight into each others day, thoughts and feelings and is something we do every weeknight without fail! For Christmas we play secret santa. It's so much fun! Sharnel I would love to enter your giveaway please. ... since our little man is only 1 we haven't really established any significant family traditions with him yet BUT my personal fave is when my husband and I make our 'homemade bailey's' just before Christmas and watch the School Spectacular on the ABC. It's a bit corny I know, but it's one of my fave times of the year. Pancakes on Christmas morning. Even as adults into our 30s we seem to manage to make breakfast at mum and dads' house for the pancakes. Several of us in the kitchen flipping pancakes as high as we could, the inevitable dropping of at least one pancake, and then the choice of toppings - honey, lemon, sugar, a fried mix of bacon, onion, mushies and tomatoes for a savoury twist and of course the maple syrup. There's laughter, love and the togetherness of family. Presents aren't until later - breakfast is about the people in our family. Since having our children we have decided to buy or make a Christmas Decoration for them every year. We have been writing their names and the year that it was given to them on the decoration. When they are grown up we have decided they can use the decorations for their tree. For my family it would be going out on Christmas Eve looking at all the christmas lights around town and then at home having a few drinks and home made egg nog with friends and family. Our family tradition is a cooked breakfast every Sunday morning, my husband Chris cooks most of it on the barby! Being a shift worker, the kids don't always get to see him - but with his roster he is home every Sunday morning! Plus, if were not running out the door for Sat morning sport, pancakes are the go! I was having trouble too. Here is my favourite tradition. My 4 year old daughter loves pancakes so we go out for pancakes on most special occasions - our birthdays, Mother's day etc. Yesterday she declared it was "sister's day" and she wanted her brother to buy her a card. Can't help wondering if she was hoping it would mean pancakes too! Pancakes for breakfast on each of our birthdays, Mothers Day and Fathers Day. It is a great tradition in our house, we all love it. Our most cherished tradition, is our special family breakfasts for Christmas and Easter. The table is set beautifully, the special foods we only eat for that day sets a beautiful start to the day. I'd have to say Christmas morning - for as long as I can remember, no matter where we happen to be living, my sister and I at the very least, usually Mum too, and since I've married and had a child of course they are always there now all gather together for a gourmet breakfast followed by a big gift giving session! Our family tradition was birthday cakes! My mum would always make a special cake for us and we would wake up early just to get a peek! We loved it! I could not wait to do the same for my kids and they love it as much as what we did! There started a thriving business! I know Mum is looking down with a HUGE smile on her face. My most treasured family tradition are Sunday drives and picnics. As a child, packing up the car, being slathered with sunscreen and driving for miles. We went to beaches, forests, bushland...everywhere. I was always starving and sandwiches, salad and fruit tasted a million times better on a picnic. I always felt warm and happy, even when we had rainy day drives and had our picnic in the boot of the car!! For six months, I've been living in Sydney and the picnic and walk on the beach is still a big tradition that I look forward to. And the food still tastes just as good outside! Sunday skypeing with my family. We all try to answer the quiz questions in the weekend paper. We've been doing it for so long, I love it! We have many beautiful family traditions in our family but the one very special one that the kiddies love & are always excited by is Christmas Eve. After being out & visiting all the amazing Christmas Lights in the surrounding streets we head home & the children put on their new PJ's. We then head to the Christmas tree where they then get to hang their very own Christmas ornaments. (Each of my children get a new ornament to hang on the tree each year that will be their to cherish with their own children when they grow up). After carefully placing their new ornament on the tree, they then get to unwrap one gift that has been sent to them from an interstate relative. We do all of this whilst enjoy scrumptious chrissy chocies from our christmas bowl & listening to the christmas carols that are hosted on TV. We have many special family traditions. A particular favorite is Birthdays. We make a special breakfast in bed and bring in presents for the birthday person. Then we go out for a nice lunch and play board and card games in the evening. A lot of fun and great memories! A cherised family tradition would be when my aunty was alive we would all sit together as a family and watch her make little italian pasta shell hats (fresh) and I would sit there trying to copy her - she was way too quick for me! I will teach my kids when they are old enough too. My favorite family tradition is still opening presents on Christmas morning! Looove that square footed bowl! Yikes! My husband's family are South American & have a tradition where every Christmas Eve the kids (somehow) manage stay awake till midnight. One of us will take them for a walk just before midnight and everyone else pops the pressies under the tree for them to find when they arrive back just on midnight. It's the best tradition, they always come home to find the presents and start screaming and ripping them open! Haha! Every easter my mum used to give my brothers and i flanalette PJs, the tradition has continued on and she still gets us PJs, and our husbands/wives and grandchildren. I really don't know how to pick just one but it's the people in my family that make things we do together special... But I do love how we make a huge fuss over each persons birthday - they choose what they want to eat, do and everything in between and everyone else joins in... King or queen for a day! my whole family (parents, partners, kids) spending a week together at the beach for Christmas. We have done this since I was a child when my grandparents started this tradition and now my parents are continuing this tradition with their children and grandchildren. It all started when we were young and shaking presents under the tree. This particular year we all had bought each other 2 presents, so my mum, being creative suggested we all open a "small one" now. The "night before presents" are usually small, possibly from the $2 shop and are often funny.... we shop all year to find the "right" gift for each person. Given the enormity of this as our family grows we have now gone to Chris Kringle for Christmas day! 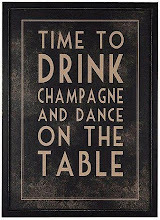 My favourite is that for everyones birthday we always get together, with the birthday boy or girl choosing whats for dinner. It's even better now we are all older and married so there's eight of us around the table talking over and under and around everyone. Plus the last few years since I have been cake decorating include a cake that is usually much too big for the occasion and but is suited to that person. A tradition we recently started is video recording the kids opening their presents on Christmas Day, we can look back and watch their eyes bulging and the Oh and arhs but also because my husband works away and misses many Christmas mornings that he too can see the kids reactions to Santa's delivery. Plus I am sure we will have some great footage for 21st birthdays! Every year we go to the cider mill for fall/halloween. Has to be a favorite tradition, my husband and I have been going since we started dating. Other than Christmas, and ballet night takeaway on the couch, my favourite would be taking my daughter out for coffee on Friday after school. It's just something small, but she looks forward to it all week. We move to a new home next week and I'm hoping we can start many more traditions with family and friends! I would have to say Easter holidays. We have always gone camping over the Easter holidays since I was a child, now I ave two young kids of my own, we still go away at Easter. It's a great family tradition that we hope will continue for many years to come. We have the most stunning Christmas Tree which takes hours to put together and decorate, which I love! Our tradition is that we buy a new decoration every year..I decorate the tree with my son putting his beautiful handmade decorations around the bottom for all to see. My daughter's birthday :) Clémence was born premature, and she couldn't wait to see the world...she was born on a monday at 6.10am...then during year she didn't let me have enough sleep. Our tradition is that I bake the same chocolate cake every year for her birthday ( our favourite) lit the candles, and enter into her bedroom at 6.10am waking her up singing happy birthday....She starts the day with a piece of cake and a present,and she loves that ! I love our every day rituals that have become traditions in our house, like dividing the remnants of the mixing bowl contents between four children (thats two beaters, one spoon and one bowl) or visiting the ice cream store very occasionally but knowing which each person will order, and enjoying the time shared that follows. My favourite festive tradition is our Christmas eves - we share a secret Santa style gift exchange (started because we were just too excited to wait!) and enjoy a casual meal, sharing our favourite things from the year. We light Santa's candle (he blows that out after he has put the presents out) and send the kids off to bed. I look forward to it as much as the mad excitement that follows the next day :) Thanks for letting us share! One of our special Christmas traditions is that on Christmas Eve, Sid the Elf visits our house while we are at mass and writes the kids a letter about their achievements through the year and leaves a parcel of new pyjamas for everyone to wear that night. I just love the look on their faces when they see that he has been. On New Years Eve sit and talk about everything that has happened over the past year and what we are looking forward to in the next. Very special time. This is a tradition I have with my mum, not the entire family, but I look forward to it each year. Every year on my birthday I give her/send her (she's in Sydney, I'm in Melbourne) a rose or bunch of roses, with a card thanking her for being a fabulous Mum, bringing me into the world, and bringing me up to be so fabulous ;) he he. I'm a solo mummy to two little girls and we put time aside every week for what I call 'pure moments'. It's a time where I turn my phone off, focus on our little family, and we do things that are purely to delight our feminine hearts...planting flowers, pony rides, painting, a walk in the fresh air etc. It's a tradition I hope they'll look back on with joy! Hi Sharnel - I am a huge fan of your page and now find myself checking in pretty much every day to see what new things you have posted (plus I've had my eye on that square footed bowl for a while now...) Can you please add my comment below into your competition giveaway? I am from Bulgaria originally & came to Australia when I was only 19. All my family is back in Bulgaria, so I try to create some special Bulgarian traditions for my kids, so they know where their mum is coming from. My favourite is the Xmas lunch (even though after so many years I still can't get used to having Xmas in 40 degrees :-)). I prepare a special round bread that has a coin in it, the head of the family (dad) has to take the bread and turn it clockwise to the number of people sitting at the table, then break each one a piece. The person that finds the coin is considered the luckiest person through the new year and has to keep the coin in their wallet/ somewhere safe. The kids love it & it's lots of fun with my extended Aussie family too. Other family traditions include dying eggs for easter and making sweet bread for Easter.